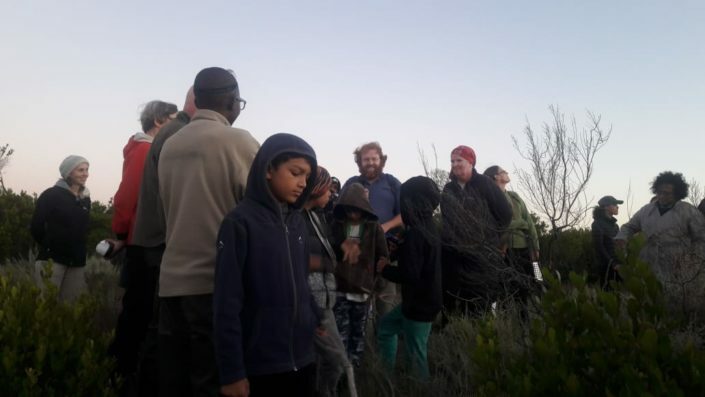 Kenilworth Racecourse Conservation Area annually conduct chameleon-spotting walks which form part of the Fauna Monitoring Programmes of the site. In total, 65 people from the community, mostly by kids, participated in this fun and exciting event. 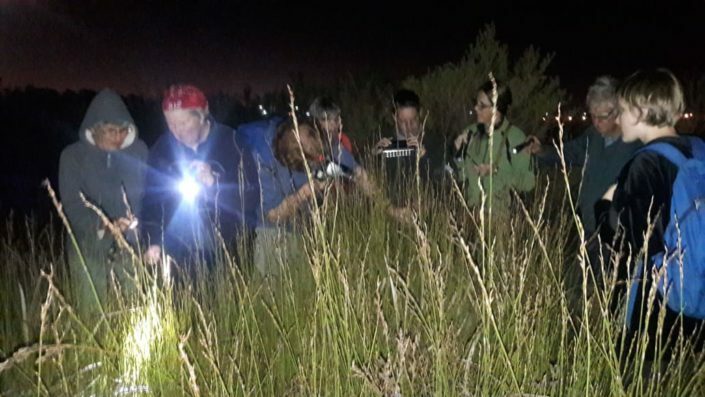 The group not only had an opportunity to learn about the Kenilworth Racecourse Conservation Area, but also its biodiversity and conservation. It was encouraging to see how interested and engaged the participants were as they ask a number of great questions during the talk! The Cape dwarf chameleon (Bradypodion pumilium) is one of 15 dwarf chameleons that are endemic to South Africa, with this particular species only being found in a limited section of the Western Cape; around Cape Town, the Boland, and the mountainous coastline reaching towards Agulhas. This limited habitat is facing huge threats due to rapid urbanisation, with the chameleons’ natural habitat at risk of being destroyed. 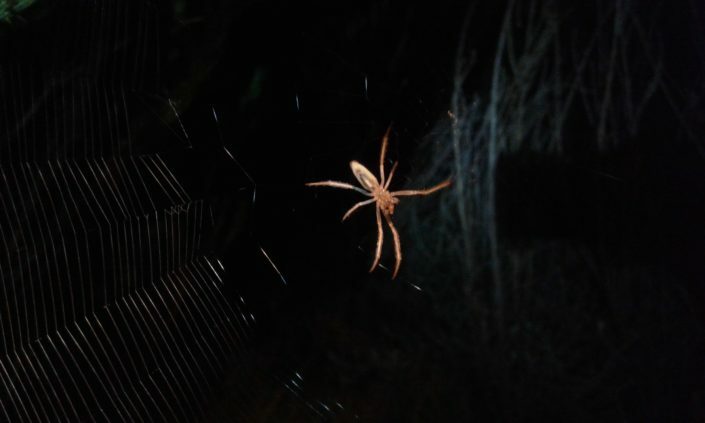 This is just one of the reason why the KRCA is such an important conservation area and why the data from regular surveys is important. 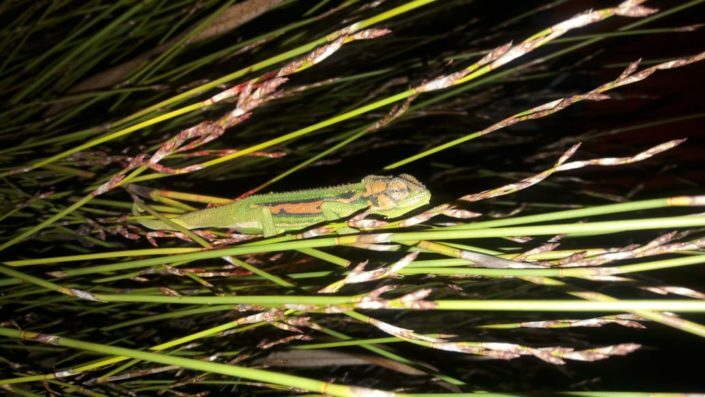 In this recent chameleon spotting session, 11 Cape dwarf chameleons were found: 9 juveniles and 2 adults. 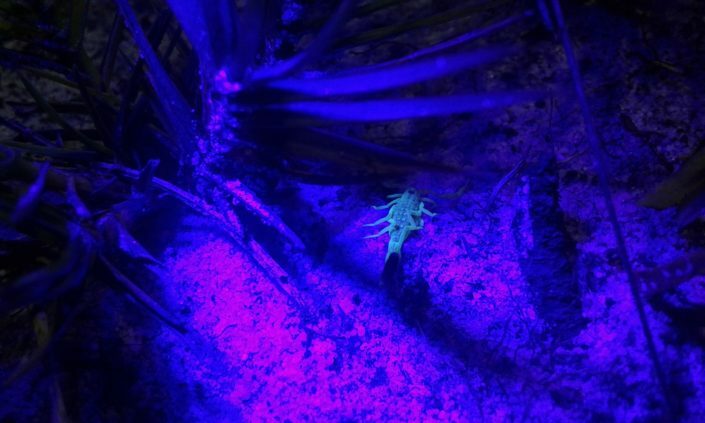 Not only did the participants get to see the chameleons up close but they also discovered a few Lesser thick-tailed scorpions (Uroplectus Variegatu) under the UV light, as well as Orb-weaver spiders. Kenilworth Racecourse Conservation Area staff and friends of Kenilworth are delighted to have involved the community in this fun and exciting event. Furthermore, the team hopes to have changed lives of KCRA’s neighbouring children through exposing them to these amazing little creatures!